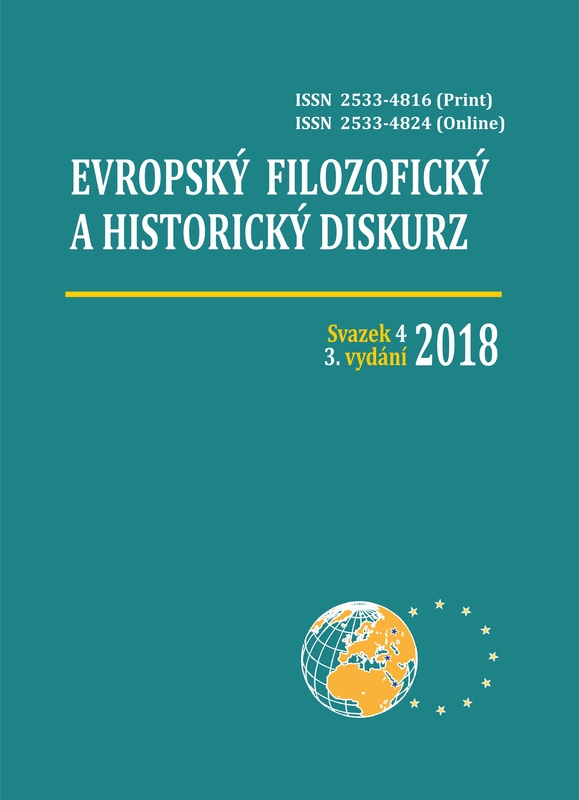 The European philosophical and historical discourse is international Journal dedicated to researches on topical issues of modern philosophy, history of philosophical thought, cultural studies, theory and philosophy of history, analysis of historical processes in particular regions of the world, including history of Central and Eastern Europe countries. The Journal aims at publishing of high quality articles that may bring innovative and significant theoretical, conceptual, methodological and empirical contribution to relevant scientific fields. The Journal works with anonymous peer-review system that verifies scientific quality of submitted articles. The European philosophical and historical discourse has a particular interest in interdisciplinary researches in the field of philosophy, cultural studies and history, but by no means restricts its interests to these spaces. Researches in the field of advanced and promising directions of history such as oral history and historical computer science are also welcomed. The European philosophical and historical discourse accepts original materials which are not under consideration elsewhere at the time of submission and does not accept already published materials.